Love is beautiful, not scary (the loss or lack of love is scary). Seductive Integrity matters, the two cannot exist without the other. Women are amazing. These pictures easily show how amazing they are. The men who love women while also maintaining and expanding their integrity are true heroes. Not all of us yearn to have children. Some of us unable to have children. Some of us, still figuring it out. Some of us have already gone down that road. Yet the point of this post is not to suggest that everyone needs to have kids at some point, but rather, simply to show one of the many reasons we have it deep within us to find and expand love. Comment below with the emotions or thoughts that the photos evoke within you. 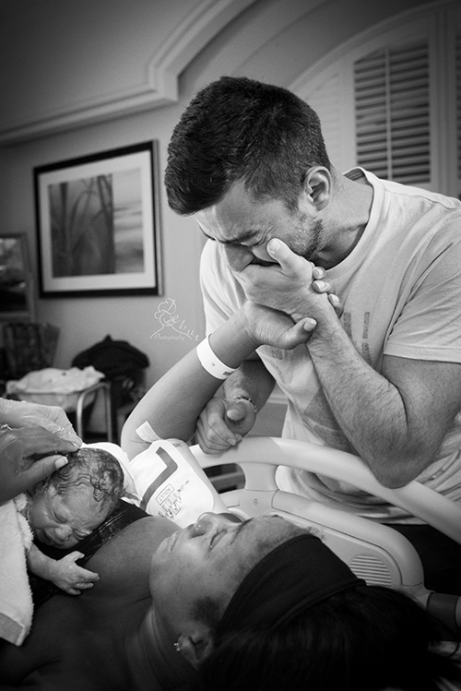 Hello Before Goodbye by Sarah Boccolucci – First-time father with brain cancer leaves ICU to witness son’s birth.